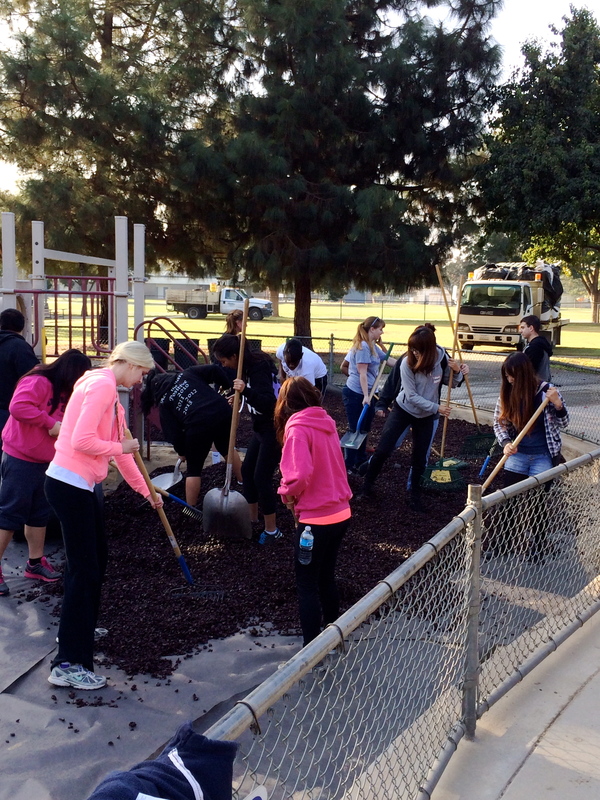 Ambassador Heather resurfaces a playground with other student-volunteers at Holman Park during Make a Difference Day. This quote perfectly describes what I have found with my service experiences. I have served in various places from giving food at the Poverello House in downtown Fresno to building a community center for a village in Fiji. No matter the experience, I always find that it feels really good to give my time for someone else. My experiences have caused me to look at my community more positively and understand the difference I can make. In addition, service has allowed me to surround myself with positive people whose dedication to others is truly inspiring. I have found a niche with these people and share some awesome memories with them. Because of service I have met incredible people, made lasting memories, and gained new perspectives and goals. My hope is that I will continue to define myself as someone who lives to serve others. I have found myself in service.Have you ever “lost yourself” in service to others? How has serving others impacted you? The Richter Center is open Monday - Friday 8:30 AM - 5:00 PM or email us to make an appointment to meet with an Ambassador.